I have always loved collecting inspirational quotes. I like to put them up around my house, read them in articles, write them in cards, use them in presentations, and the list goes on. Kindness is one of the foundational qualities I want to help my children develop. From being kind to the insects in the yard to participating in larger scale service projects, I don’t think there can ever be too much attention placed on the importance of developing an attitude of compassion and kindness. 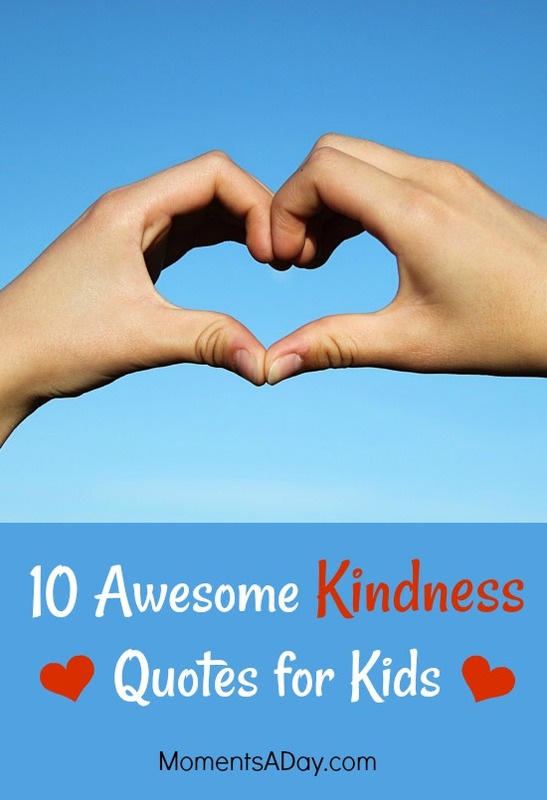 Recently I decided I wanted to help my children memorise some quotations about kindness so I searched around for ten simple yet profound quotes that I thought would appeal to my children on the subject. Write the quotation on the white board and read it out together. Ask a child to erase one word, then read it out together again (filling in the missing word through remembering it). Erase more words until you have the whole quotation memorised. Write out the quotation in big words and cut the sentence into phrases (or words). Mix them up and put them back together again. Compose a song for your quotation. Create actions for the words or phrases in the quotation, and use them as you say the quotation aloud together. Draw a picture (or make any piece of artwork) inspired by the quotation. You can either make one image for the whole quotation, or break it up into phrases to illustrate each piece of the quote. What is your favourite inspirational quotation? Have you worked with your children to memorise it? “No act of kindness, no matter how small, is ever wasted.” – Aesop. So inspirational! This inspired me to have some quotes framed and put the around the house. Thanks for this and the tips in memorizing valuable quotes!